almost all of its 2,000 parts are newly developed. The specific power output is most certainly its most incredible merit, but so much power is not exactly unheard of in the racing world. 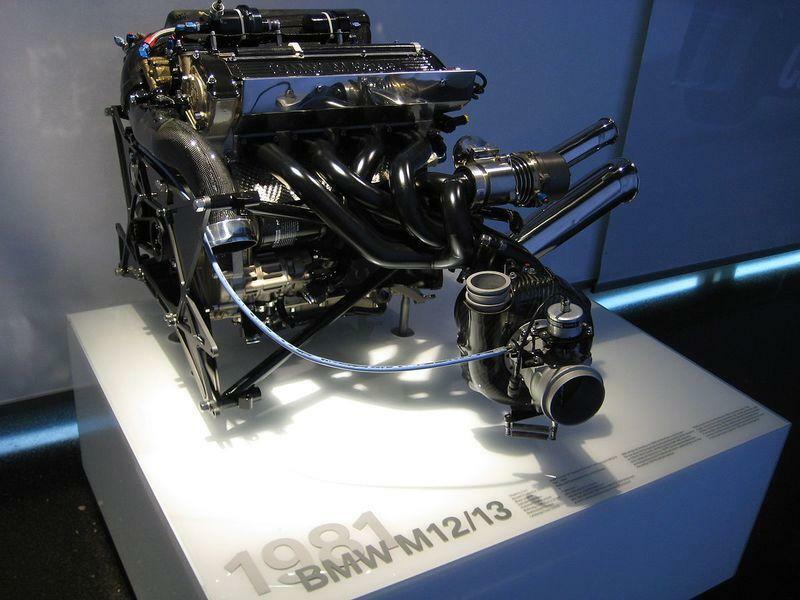 Anyone big on Formula 1 will certainly remember the amazing BMW M12 engine from 1986. 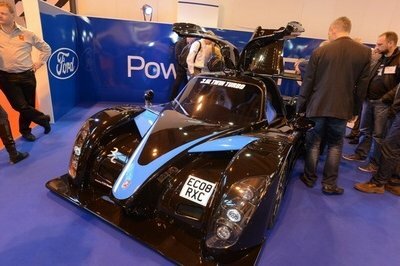 Its tiny capacity of 1.5-liters was not a crippling point for some insane performance. Installed in Benetton racing team cars for the 1986 Formula 1 season, this tiny turbocharged engine could generate up to 1,350hp. Maybe even a tad more. Only during the qualifiers tough. Its power was scaled down a bit during the race. 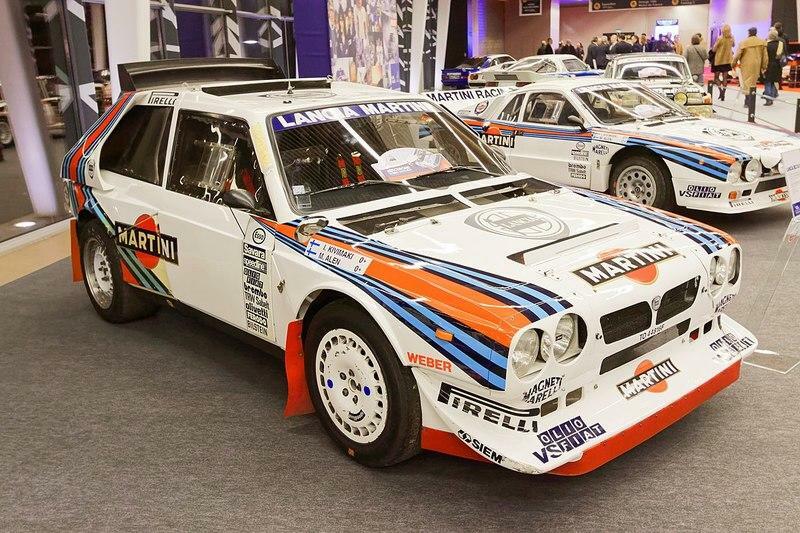 Then, I do remember an excellent Lancia Delta S4 rally car with a 1.8-liter engine that was good for 483 horsepower. Interestingly enough, Lancia tested the engine with insane 5 bars of boost pressure. For a brief amount of time, this small inline-four was capable of developing exactly 1,000 horsepower. That's a specific output of 555.5 horsepower. When you think about it, developing horsepower is nothing more than injecting as much fuel and air into the cylinder and burning it as efficiently as possible. 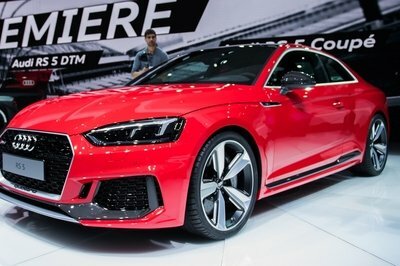 Audi’s new four-cylinder race engine turbocharger works under 3.5 bars of pressure, definitely has some superprecise injectors, and it burns the fuel as efficiently as possible. 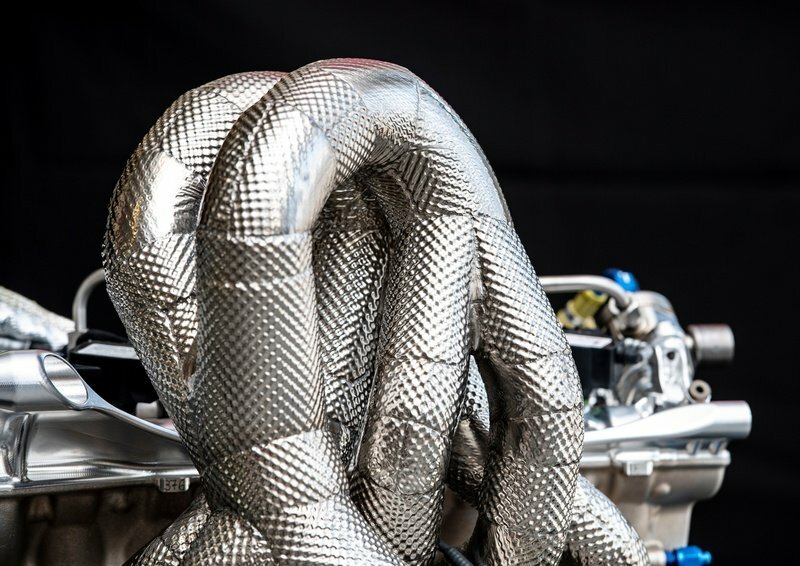 After all, some already suggest that with a power like this and capability to run for a full DTM season, the thermal efficiency of this engine is in the high 40-percent range. Fyi, this is the basic definition of the thermal efficiency term - " thermal efficiency is the efficiency of a heat engine measured by the ratio of the work done by it to the heat supplied to it." Having a thermal efficiency of more than 40 percent is high. Pretty much any standard engine in a road going car can barely achieve a thermal efficiency of 30 percent. 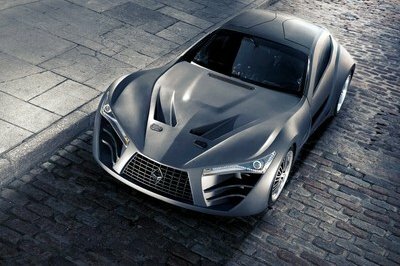 On the other hand, the top-notch Mercedes-Benz Formula 1 engine has a thermal efficiency of close to 50 percent. And that’s, probably, the most advanced engine possible. Usually, the compression ratio for engines with high thermal efficiency is high. I can safely assume that a high compression ratio is one of the main characteristics of Audi’s 2.0-liter with 610 horsepower. While Audi did not release any details about the compression ratio on the new 2.0-liter DTM engine, I can assume that its compression ratio falls somewhere in between 14:1 and 17:1. See, the Mazda SkyActive engines and the Ferrari 458 V-8 has a compression ratio of 14:1 (probably the highest for production petrol engines). Race motorcycle engines can push a compression ratio up to 14.7:1, while the Formula 1 engines go insane with a compression ratio of 17:1. In that regard, I believe that Audi’s new four-cylinder engine’s compression ratio falls somewhere in between. Sure, I could be far off with this analogy, but it would not surprise me if it ends up being the case. After all, the compression ratio for the stock 2.0 TSI engine with 184 horsepower is already at 11.7:1. While the specific power output of Audi's new 610 horsepower four-cylinder engine is nothing unheard of in the racing world, its astounding fuel efficiency most certainly is. 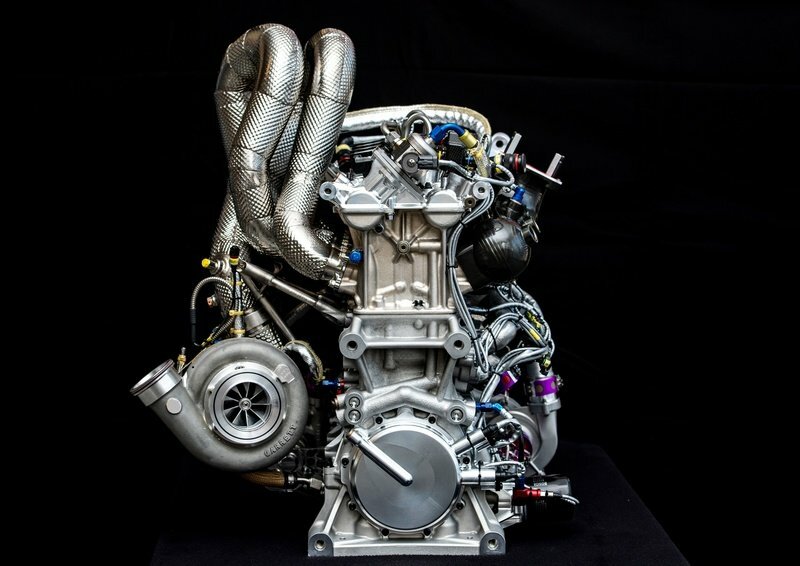 Per DTM rules, the engine in the DTM racing car is allowed to achieve a fuel-flow rate of 95 kilograms per hour at any single point in time. 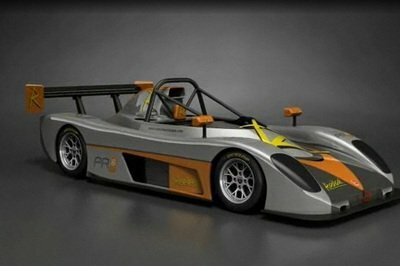 A so-called "push-to-pass system" that is available during overtaking maneuvers, award an additional 5 liters of fuel-flow rate for a flow-fuel rate of 100 kilograms per hour. In those instances, Audi’s new four-cylinder can develop 640 horsepower. It is a lot like an overboost function, really. To put all of these numbers into perspective, I am going back to turbocharged Formula 1 cars from the Eighties. For example, the 1987 F1 Honda RA167 engine developed 1,010 horsepower. Its turbocharger was spun up to produce up to 4 bars of boost pressure, and the only way for that engine to produce that much power was with a fuel-flow rate of 195 liters per hour. 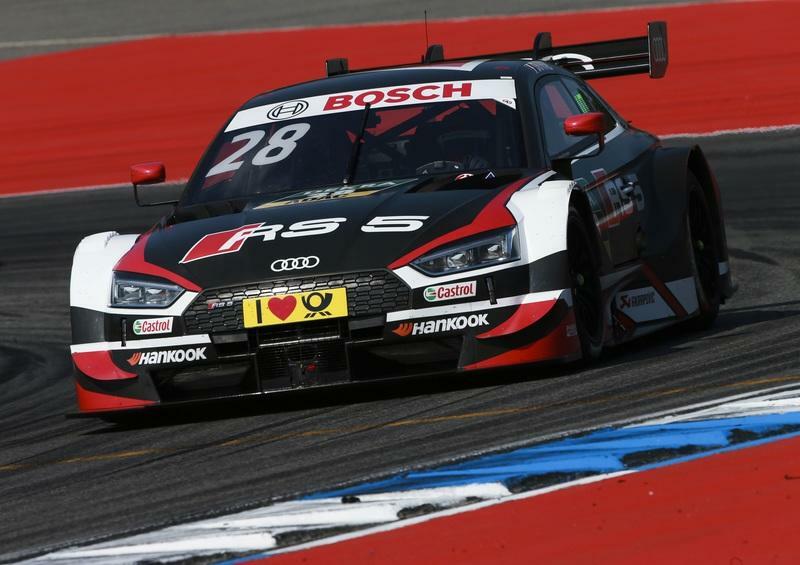 "High efficiency and low fuel consumption are crucial factors of success in the DTM: competitors who are able to start with less fuel in their fuel cells and thus less weight than their rivals automatically have an advantage." The strategy of starting with less fuel was a resounding success for the Mercedes F1 team in some of the races it drove. Thanks to the exceptional efficiency of its engine, Mercedes’ F1 car started some of the races in 2017 with 10 liters of fuel less compared to its competitors. 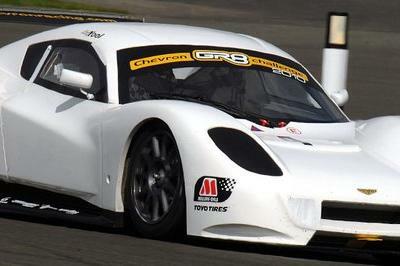 It was, along with a more powerful engine, an essential caveat for winning it. From the age of the supercharged 1.5-liter in the 1950’s Alfa Romeo 158 Alfetta that developed 425 horsepower, we have always been mesmerized by the incredible power of small engines. While, in one way or another, the horsepower has basically always been there, the engineering poetry of Audi’s new 2.0-liter, four-cylinder with an incredible 610 horsepower teaches us that it is possible to reach it in a much more efficient way than ever before. 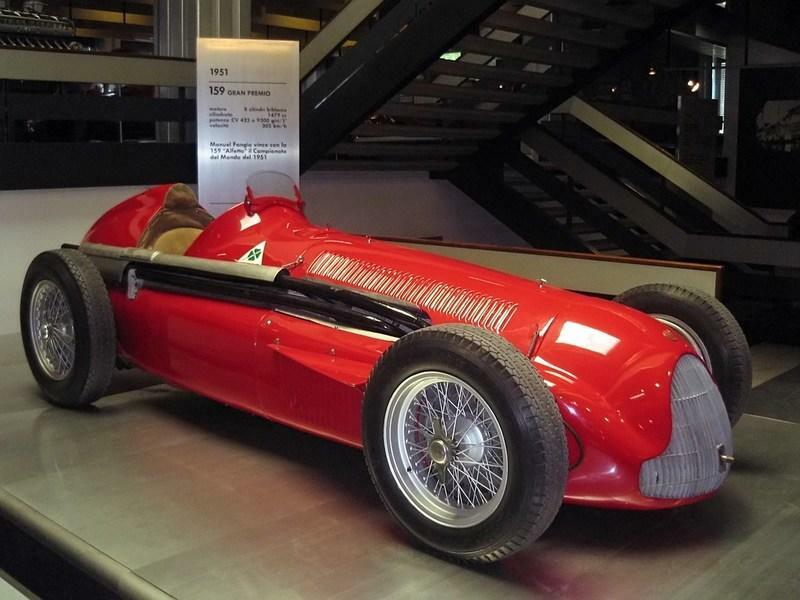 That 1950’s Alfa Romeo 158 Alfetta, although incredibly powerful, actually needed a gallon of methanol, castor oil, and water mixture to cover 1.5 miles (you read it right). True, we do not have mpg values for Audi’s new 2.0-liter for the RS 5 DTM, but we have a promise by Head of Engine Development at Audi Motorsport that "the specific consumption of the DTM engine is extremely low and now within ranges that used to be typical for diesel engines." After all, if Audi can produce a four-cylinder ICE with 610 horsepower and put it to incredible stress of the race, then one question burns my mind - are hybrids and electric cars necessary? The first time I had this question was in 2015 after Volkswagen revealed the 1.0-liter, 272 horsepower, three-cylinder petrol engine at the Vienna Motor Symposium. 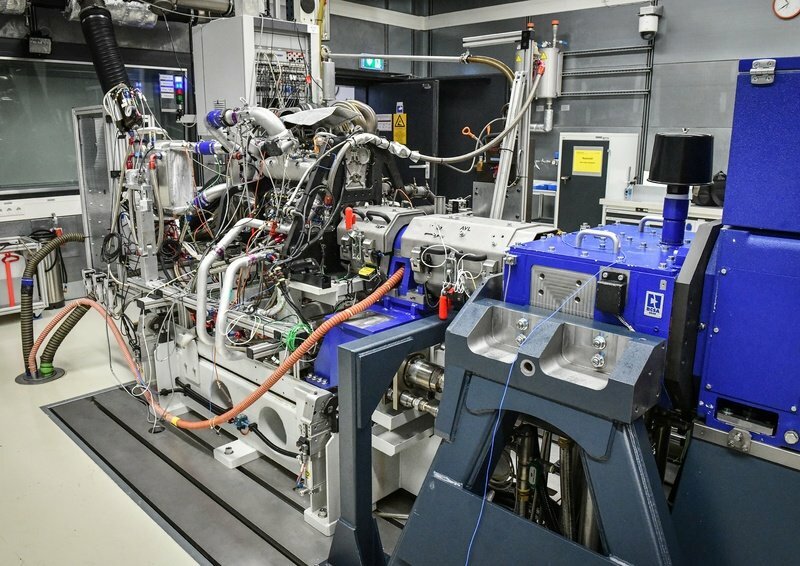 Then, Dr. Heinz-Jakob Neußer, member of the board and Volkswagen Group head of powertrain development, said that this engine is “a nice example of just how much potential combustion engines still have in them." Audi’s new four-cylinder with 610 horsepower is yet another example. Read our full review on the 2018 Audi RS5 DTM.